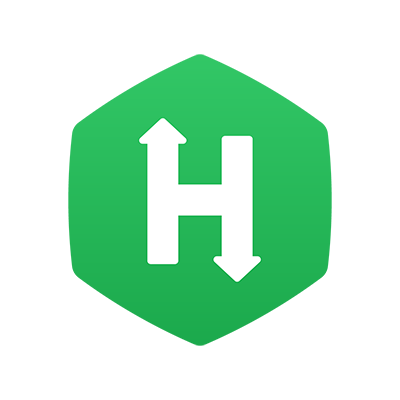 HackerRank for Work provides detailed Test Reports which help you view your Candidates' performance in a Test. The Test Reports are generated after the Candidates' have submitted a Test, and their answers are evaluated and assigned scores based on the scoring mechanism. Based on the Question type, the detailed Test report includes specific options to view, compile, render, compare and download the Candidate's answer or solution. With these capabilities in the report, you can carry out a detailed evaluation of the answers, change scores and record your feedback. This article helps you understand the detailed Test Report. You must have at least one Test attempted by Candidates and their submissions pending for further evaluation. Navigate to Tests and select the required Test. Click the Candidates tab, and select a Candidate entry pending for evaluation. In the Candidates Test Summary page, click the Detailed Tab to view the detailed Test Report of the Candidate. Alternatively, in the Summary tab, scroll down the page and click "View detailed report" for a particular Question. View and assess the Candidate's answers or solutions. Assign, or modify the score for a question based on your assessment. After completing the evaluation, click Status and set an appropriate status for the candidate's test attempt. Click Download to download a PDF version of the detailed report. In the following table, click the relevant Question type link to understand how to assess the answers within the detailed Test report. The candidate's code and the programming language used. Code playback and code quality report. Code compilation result and details. Test case wise comparison of the expected output versus the candidate's output. These details can be used to further assess the Candidate's coding approach and modify the score, if necessary. view the database code and the language used. compare the expected output against the candidate's output. You can use these details to further assess the Candidate's coding approach and modify the scores if necessary. view the session playback recording. view the output log for your check script. You can use these details to further assess the Candidate's code and modify the score if necessary. Refer the Downloading Bash History, Logs and Session Playback Recording topic for more information. view the Candidate's code and code playback. click the Render Code option to view the output web page within the report. by selecting the 'Enable alert in the rendered output?' option, in the rendered output web page, you can view any alert message or web dialog boxes defined in the Candidate's code. download the code files to run the code locally. Based on your assessment, you can manually assign a relevant score and add your feedback. view the Test case wise execution status. click Review in IDE to automatically launch the Candidate's code in an IDE to test the submitted solution directly without having to download the project files. click Browse code to view and download the project files locally. You can assess the solution using these options and modify the score if necessary. Also refer the Front-end, Back-end, and Full-stack Test Reports topic for detailed information. You can use these details to further assess the Candidate's coding approach and modify the score if necessary. view and download the code with code quality checks. download the Android application .APK file and run the application on a real android device. view the execution status of each Test case. You can use these details to assess the Candidate's code and assign a relevant score. the build compilation result and message. Click Download Answer to download the Java project solution locally. You can use these options to further assess the solution and change the score if necessary. Sentence completion questions are automatically evaluated. In the detailed report, the answer provided by the Candidate appears underlined. You can further assess the answer(s) and change the score if necessary. MCQs are automatically evaluated. You can view the Candidate's indicated answer and change the score if necessary. Subjective Questions must be manually evaluated. In the detailed report, you can view the complete answer provided by the Candidate, assess and assign a relevant score. You must manually evaluate Diagram Questions. In the detailed report, you can view the complete flowchart or diagram submitted by the Candidate, assess and assign a relevant score. In the detailed report, you can view the link to access the file attached by the Candidate. Open the link, assess the solution, and assign the necessary score for the Question.